Students and staff at QE have spent five days looking after themselves, each other and the environment by participating in Wellbeing Week. The event began with ‘Move it Monday’ in which a futsal tournament and fencing taster session were held, and all members of the College were encouraged to partake in the 10,000 step challenge. 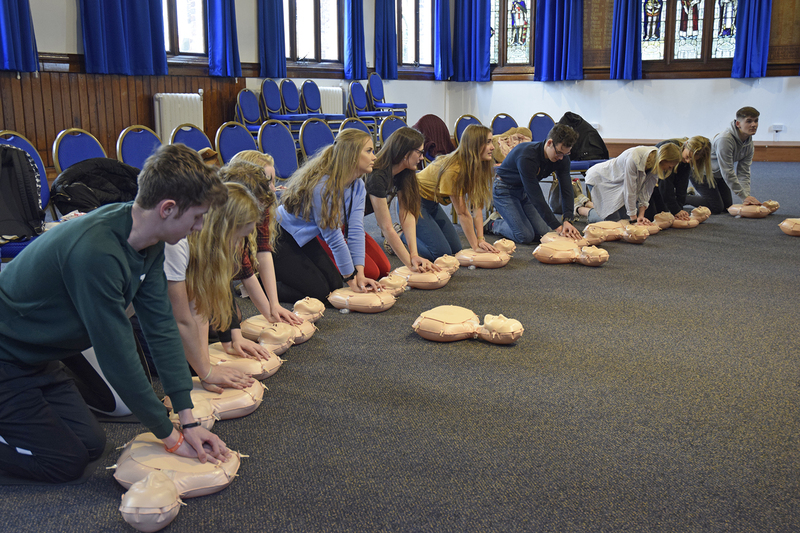 ‘Thoughtful Tuesday’ focused on mental wellbeing with mindfulness training and adult colouring whilst ‘Willing to Lend a Hand Wednesday’ allowed students to consider the local community with a litter pick in Stanhope Park and a workshop on how to perform lifesaving CPR. The week concluded with ‘Think about it Thursday’ which included dementia awareness training and ‘Foodie Friday’, highlighting the importance of eating well and hydration. Nancy Wall, who co-ordinated the sessions, explains: ‘Wellbeing Week was a great success. Both staff and students involved themselves in all of the activities on offer, trying new things and learning how to take care of themselves both physically and mentally. I would like to thank all of the external providers who helped run workshops and provided us with skills which will last a lifetime’.